With all of the bountiful rain we have had, winter steelhead will be traveling up the rivers in pursuits of their natal waters. During the downtime when you are bummed out about the weather, just think to yourself how the fish are running up your favorite steelhead stream stacking up in numbers. When waters are on the rise you can make the assumption that the fish are in travel mode. 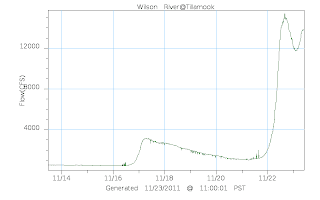 When you see the hydrographs signifying falling water levels, you can bet that it is time to be fishing. 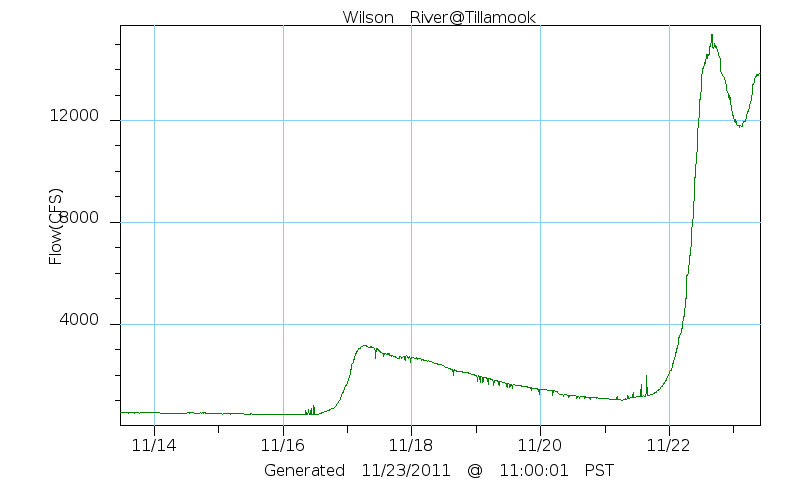 The trick is to know what river to be fishing for what water levels work best at a given fishery. Many systems will be flowing like a jet wash, and the fish can only be hugging the banks, while the next river over is smaller and quicker to get in shape. 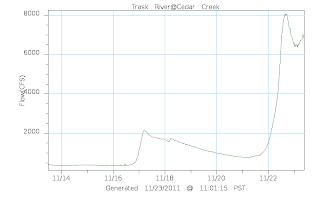 The steelhead will run in every system from a creek sized Gnat Creek to a mainstem Umpqua River or Nehalem. 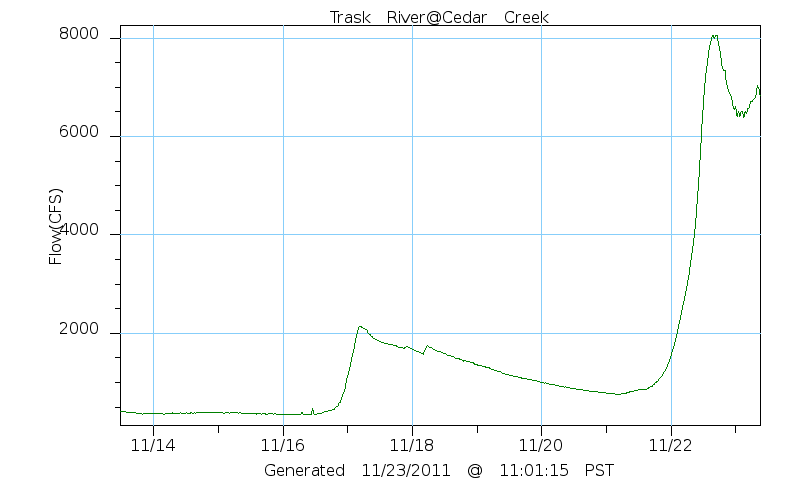 You can assume the smaller creeks will be clear and low much faster than the larger rivers. Wow. It would surely be wonderful to have a house near that river where you will be likely to get some winter steelhead during rainy period.